Cleanse the air and enhance your décor with the stunning 4’ Dark Copper Gardenfall With Clear Glass Floor Fountain. Like any center-mounted fountain, the shimmering flow of water can be seen from all angles. 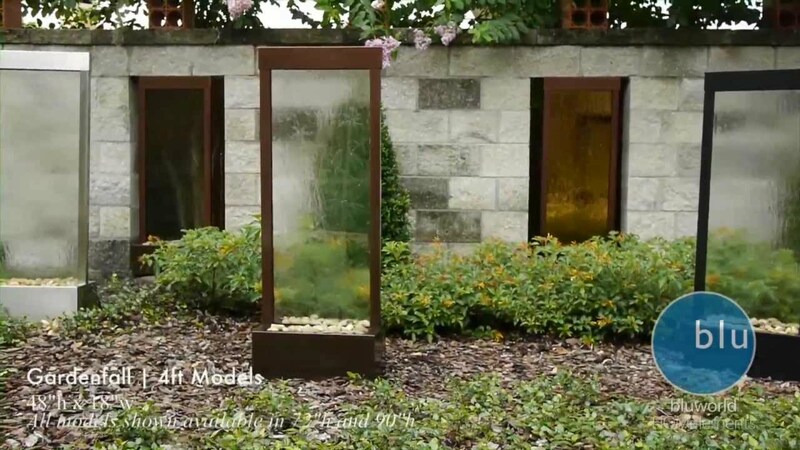 Viewable from all sides, it offers a dramatic visual display and the soothing sound of water in motion. It can be customized with your company logo, an image or a personal statement for an added character and personalization, making it the perfect addition to any business environment. Rated for all weather condition, this floor fountain looks great in both indoor and outdoor setting making your options endless.